Influenced by and interacting with landscapes, many modern Japanese architectural structures are characterised by an acute awareness of flows. Renowned Japanese architectEndo Shuhei is one such professional championing this concept. Endo treats materials as a fluid gesture to create distinctive, innovative, and appealing arrangements with a continuous interaction between form, material, and design. It is this creative interplay that has won him prestigious awards such as the ‘Surfaces’ title at the International Architecture Exhibition at the 2004 Venice Biennale, and has seen him publish numerous books including 2012’s 5-1 Design Peak: Shuhei Endo. Despite the playful qualities that his buildings invoke, Endo’s work reflects deeper levels of meaning and addresses ideas of sustainability and cost-effectiveness. 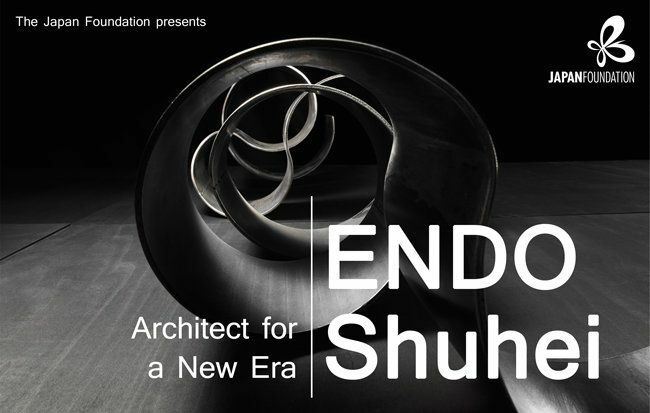 On the occasion of his first solo exhibition in the UK as part of London Festival of Architecture, as well as the 25th anniversary of the establishment of his studio, the Endo Shuhei Architect Institute, Endo will give a special talk hosted by the Japan Foundation to contextualise his work within the contemporary architectural scene. Together with Frédéric Migayrou, Chair and Bartlett Professor of Architecture at The Bartlett School of Architecture, UCL, and Deputy Director of the National Museum of Art, Centre Pompidou in Paris, Endo will also discuss his design concept and reflect on the interrogative relationship concerning ideas of modernism, while questioning the potential balance between architecture and the environment.